Mark your calendars, our sweetest event of the year is coming soon! Cookie Walk 2018 is Saturday, December 8th from 11AM – 2PM (or until the cookies sell out! ), in Center Ithaca on the Downtown Ithaca Commons! We’ll be taking over Center Ithaca with our ‘pop-up’ bakery, filled with delectable homemade holiday cookies, made with love by talented bakers from across our community. We had well over 100 varieties of treats to choose from last year and, this year, we’re going for even more! Think bar cookies, fudge, gingerbread, peanut butter blossoms, crinkles, tarts… we’ll have vegan and gluten free options, too! Cookies make great gifts; consider filling a box for your co-workers or staff, your hairdresser, babysitter, neighbors, kids, teachers – or yourself! We have boxes available in a variety of sizes and they can be tied with festive ribbon at no charge. Save yourself the time and hassle this December and let us do the baking! Make a day of festive fun on December 8th – you can enjoy the Ithaca Ice Festival and Chowder Cook Off, happening along the Commons all day long, and swing inside Center Ithaca to see us! Warm up (we’ve got free coffee!) and purchase some sweet treats. Bring your friends, bring your family – kids are welcome and they especially love taking a trip around our tables to fill a custom box of goodies. All event proceeds help benefit our mission to build more decent, affordable homes in our community. 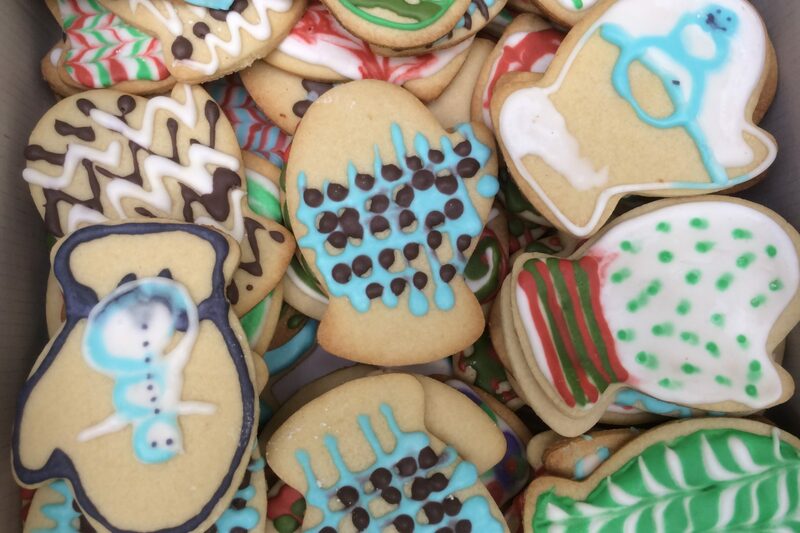 We guarantee the sweetest walk you’ll take this holiday season will be the Cookie Walk!